A: Me​, Adam Douglas. 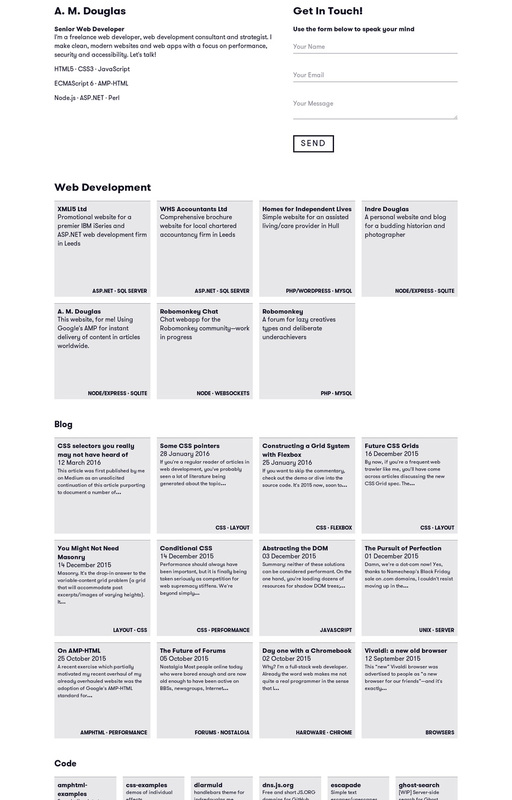 I originally designed it as an old fashioned newspaper because I wanted to use CSS3 Columns for something; nowadays my website has a grid-driven design because I have a strange fascination with grids. A: Caret​. I generally use Sublime Text, but I made my website in my recreational time and I keep a Chromebook for off-the-clock activity — which usually still involves programming. Caret is a pleasant substitute for Sublime Text on Chrome OS.